It’s been a long stretch, but Google is nearing the finish line with its Chrome OS netbook operating system. The company sent out invitations today to a Chrome event on Tuesday, December 7th, where it will launch its Chrome OS netbook, sources tell Engadget. But don’t expect to get your hands on one anytime soon. Apparently, there will only be around 65,000 units produced, and those will go to Google’s closest “friends and family.” It’s a testing method the company has already used for its Nexus S Android phone, and which it seems to be using for its upcoming Nexus S phone. The version of Chrome OS on the devices will also be an early beta release that’s not quite ready for prime time, so Google wouldn’t want to sell the netbooks to general consumers. The news follows our report from early November that speculated Google was set to launch Chrome OS smartbooks during that month. Many of the details from that report seem to be validated with this latest news — namely the low production amounts, and that the devices will be manufactured by Taiwanese firm Inventec. That earlier report was wrong about the first Chrome OS device being a smartbook though — it’s apparently running an Intel Atom Pine Trail processor, like a typical netbook, and not a cellphone processor as smartbooks generally do. All Things Digital is also reporting that Google is gearing up to launch its Chrome App Store on December 7th, which would house web apps that would work on Chrome OS, as well as Chrome browsers on any platform. What better way to launch your app store than with a shiny new device? 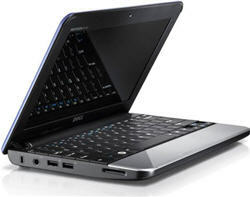 Chrome OS and other devices running it won’t be available to consumers until 2011. Hopefully by then, Google can get a better sense of what it actually wants to do with Chrome OS. We reported last week that Google executives still don’t have a clear way to define the OS.